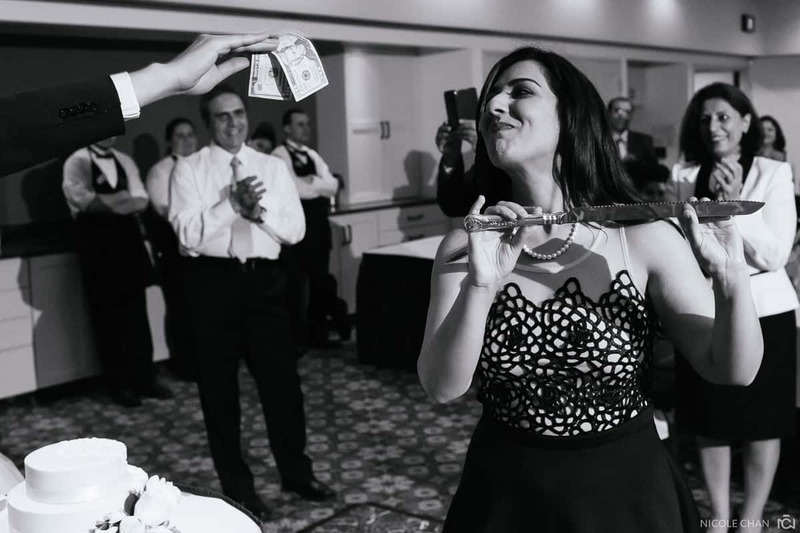 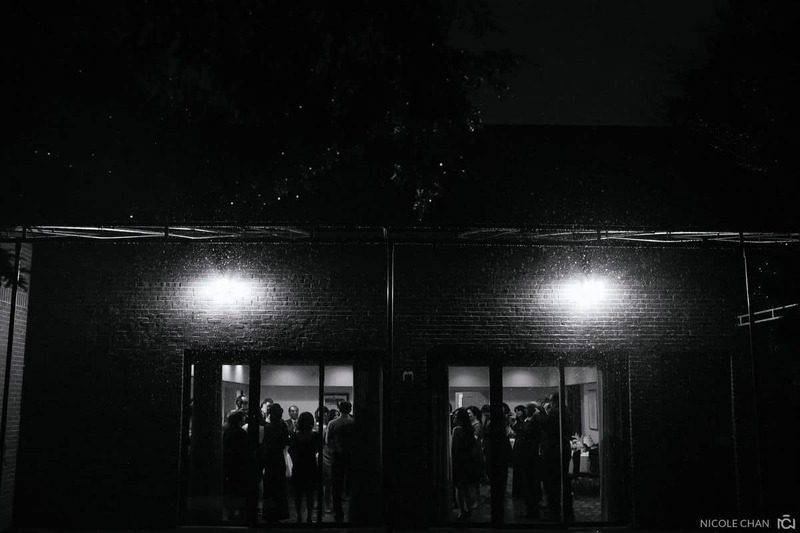 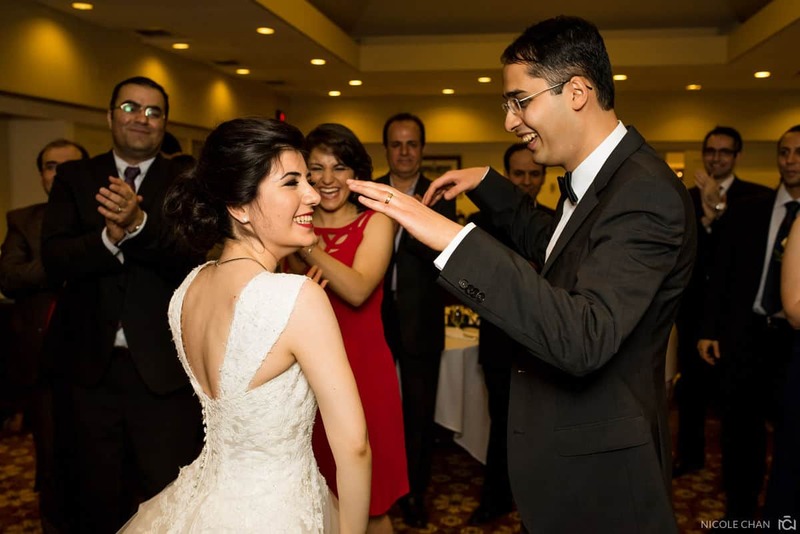 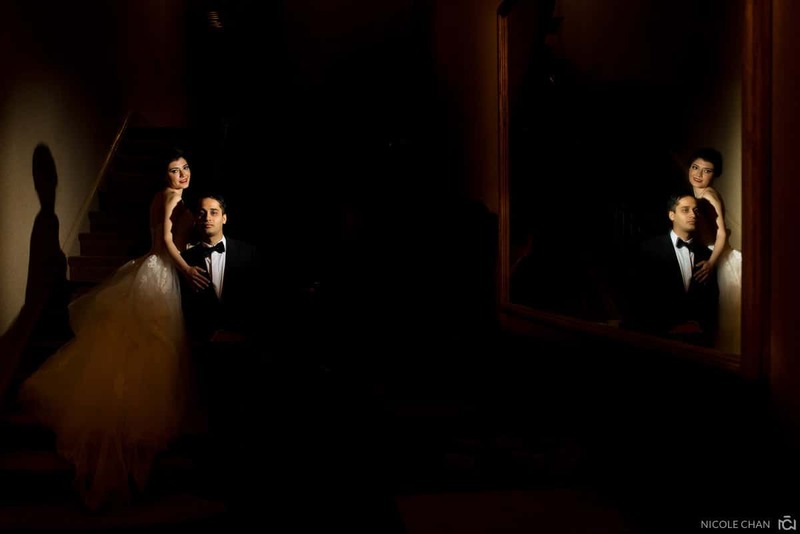 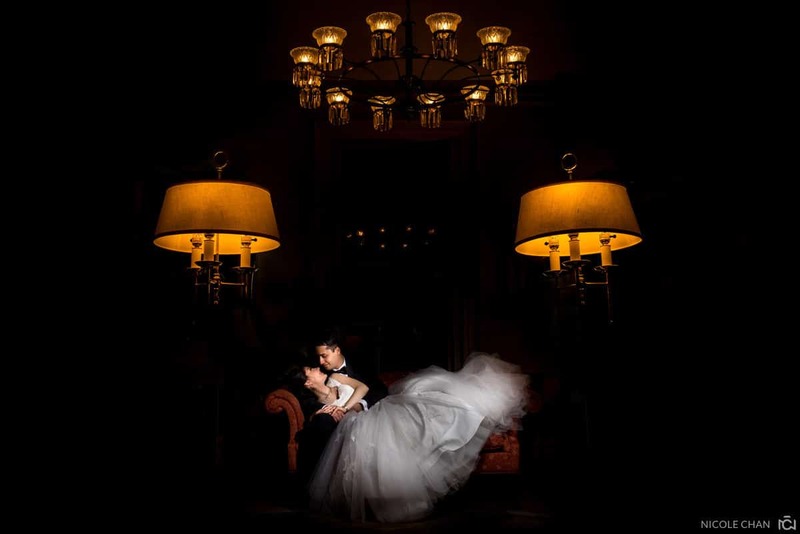 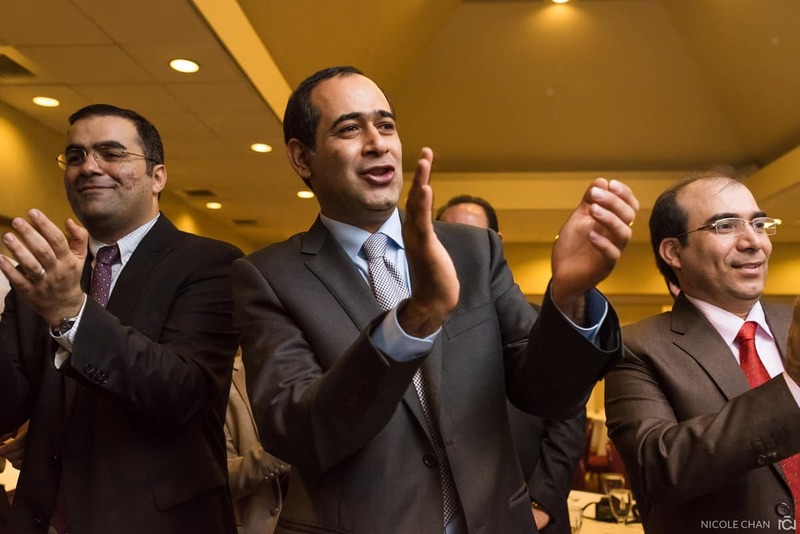 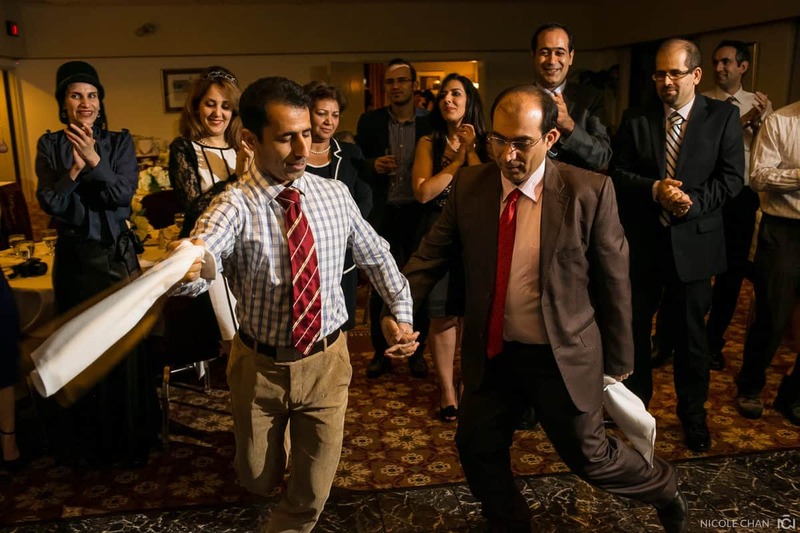 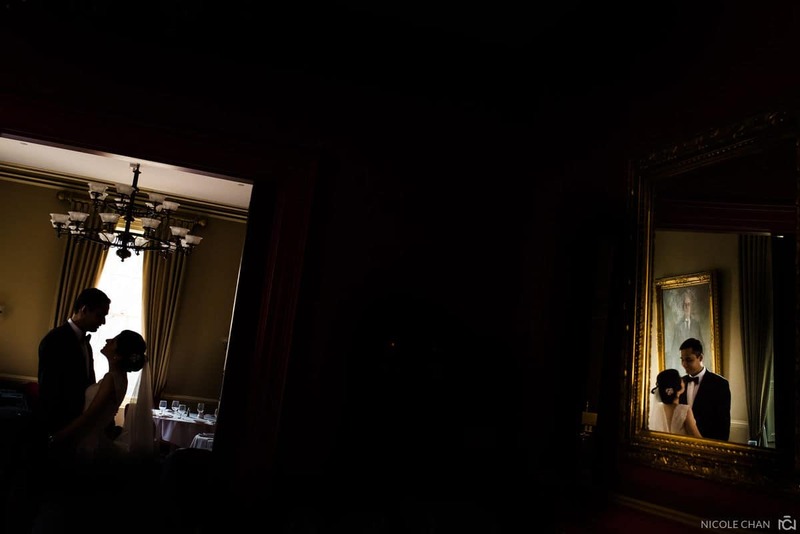 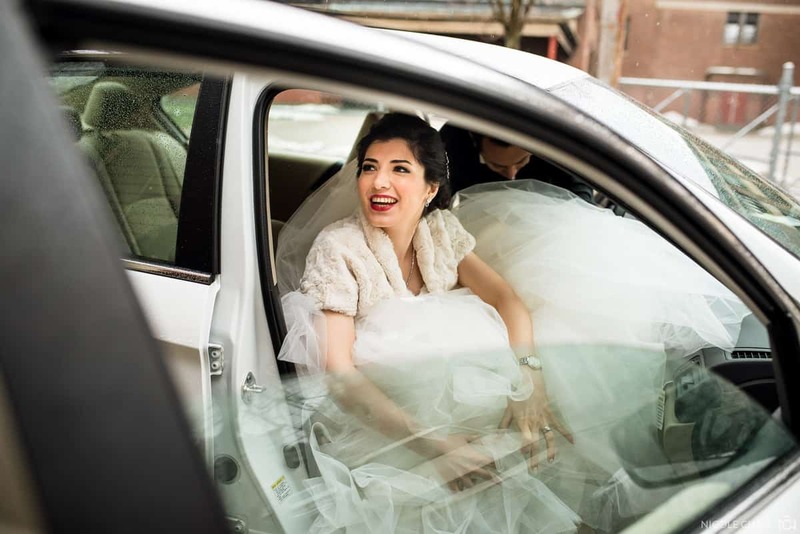 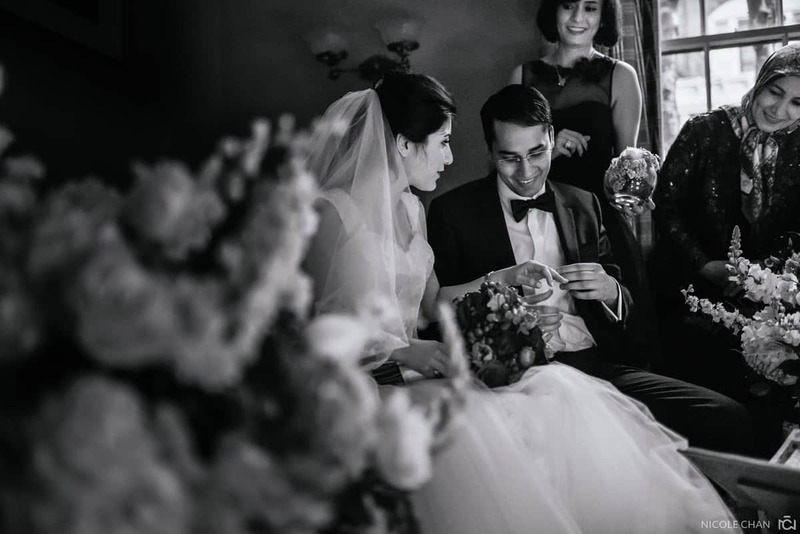 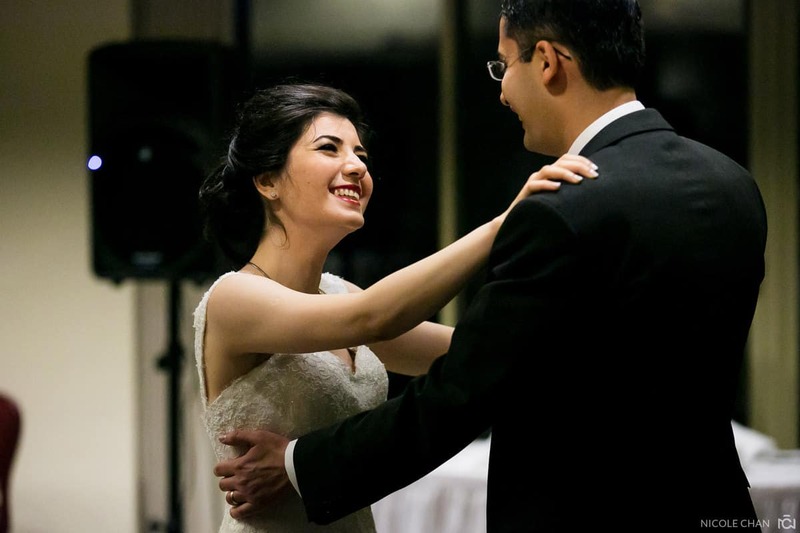 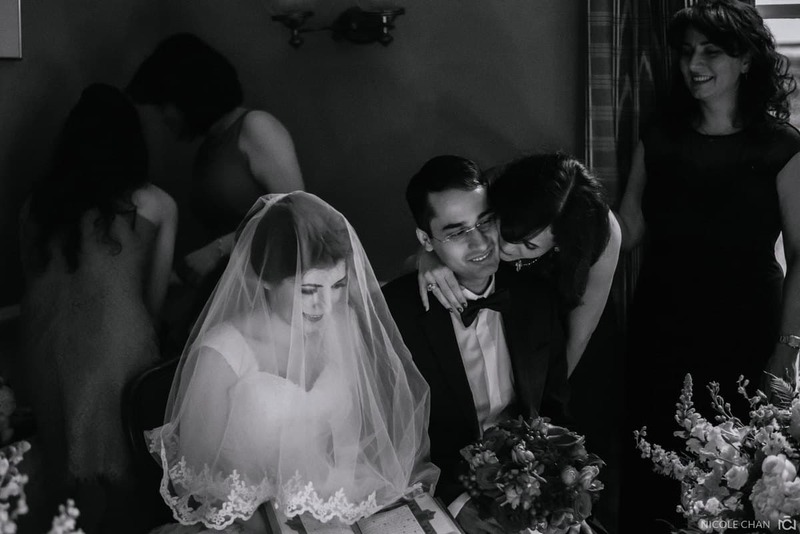 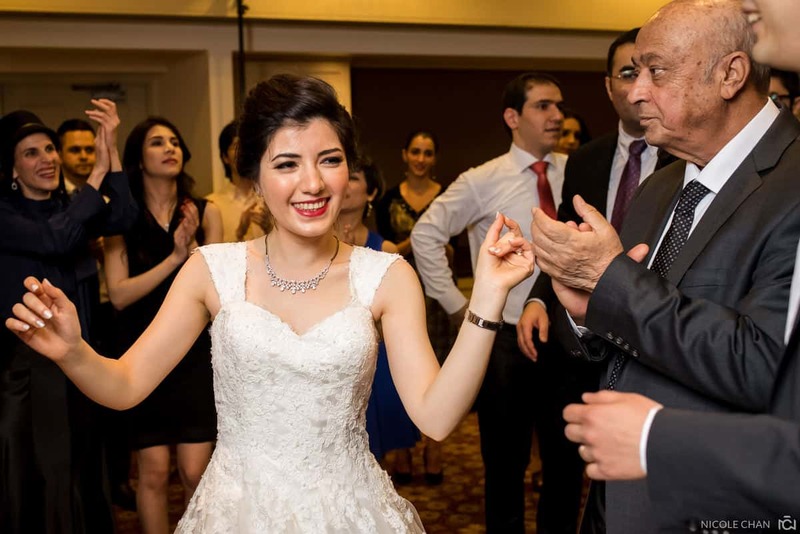 Sara and Farid had a traditional Persian wedding at Brown University’s Faculty club in Providence, Rhode Island. 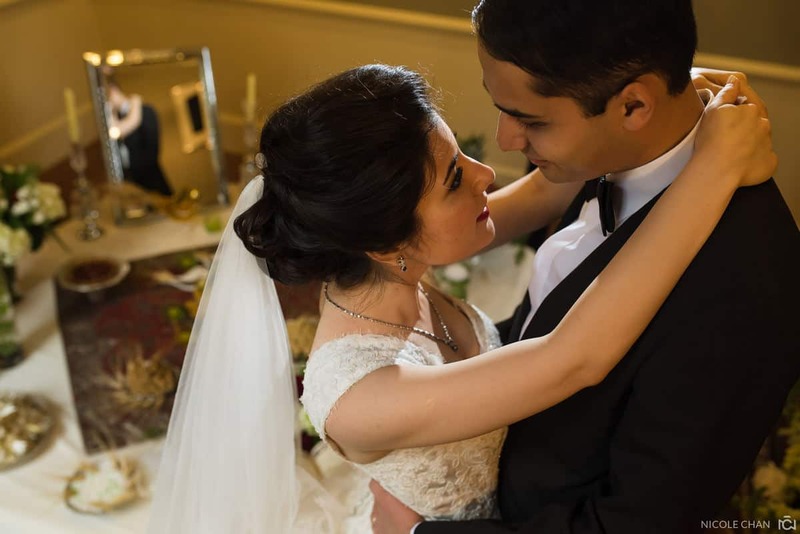 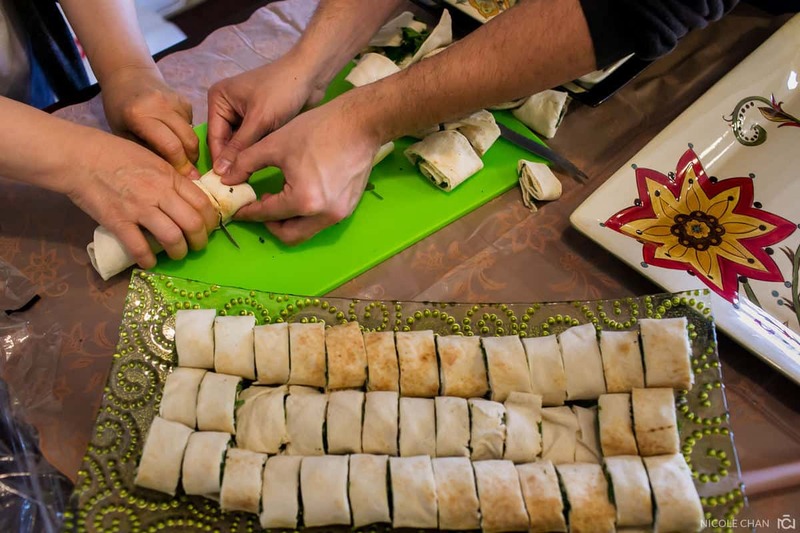 My favorite part of their wedding was their beautiful Sofreye Aghd, the wedding spread during the ceremony. 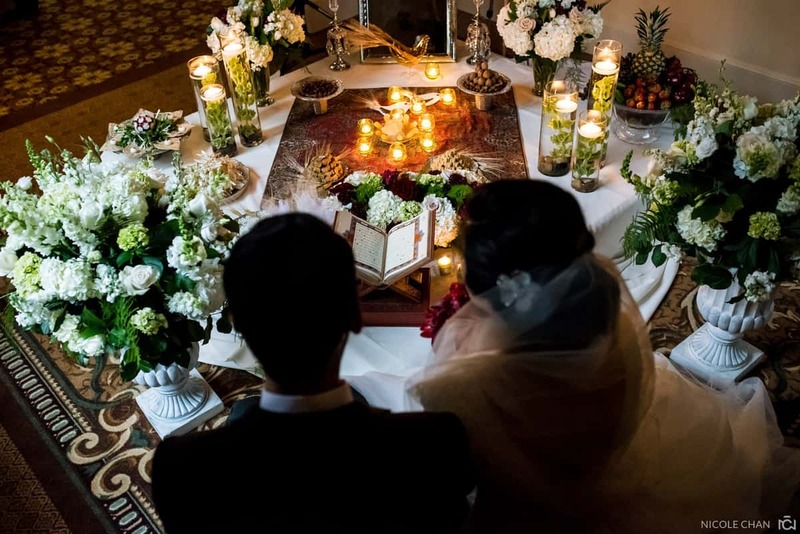 On this ankle-height table, were herbs, pastries, mirror of fate, candelabras, the blessed bread, symbols of fertility (decorated walnuts), the heavenly fruit basket made by Sara’s family (strawberries, apples, etc. 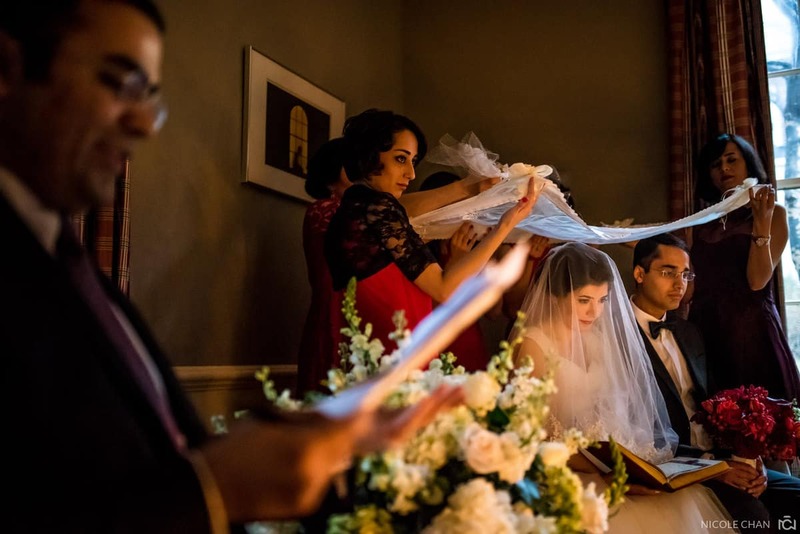 ), Shakh-e-Nabat (a bowl made out of rock candy), a cup of honey, a prayer rug and of course, the Sacred Text. 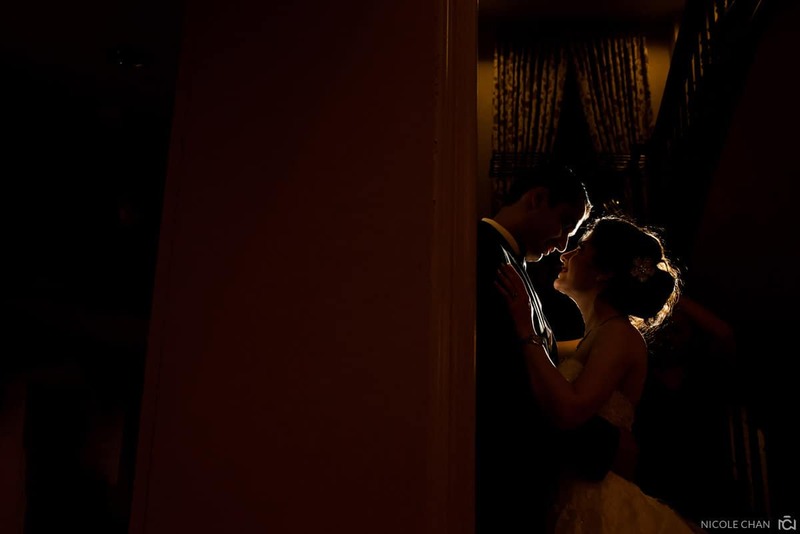 I loved all of the small candles that lit up the room. 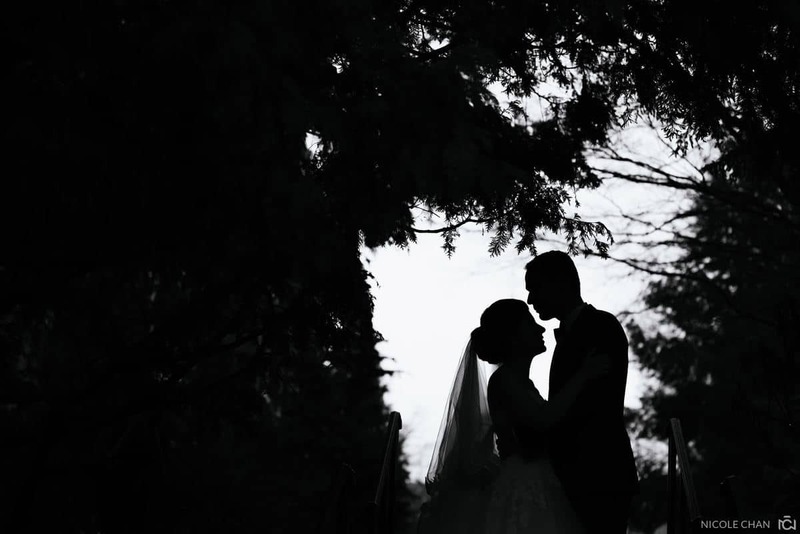 It made for beautiful light during the ceremony, which happened as the sun went down. 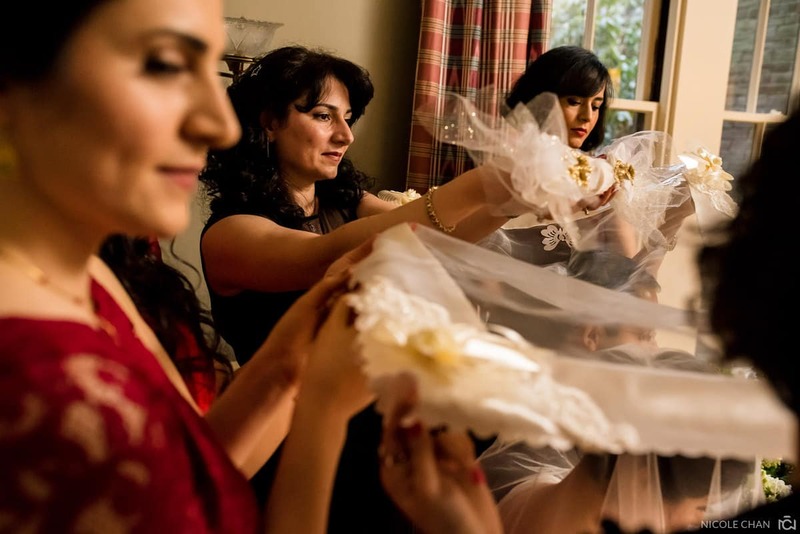 During the ceremony, Sara’s bridesmaids held a silk scarf was held over Sara and Farid’s heads. 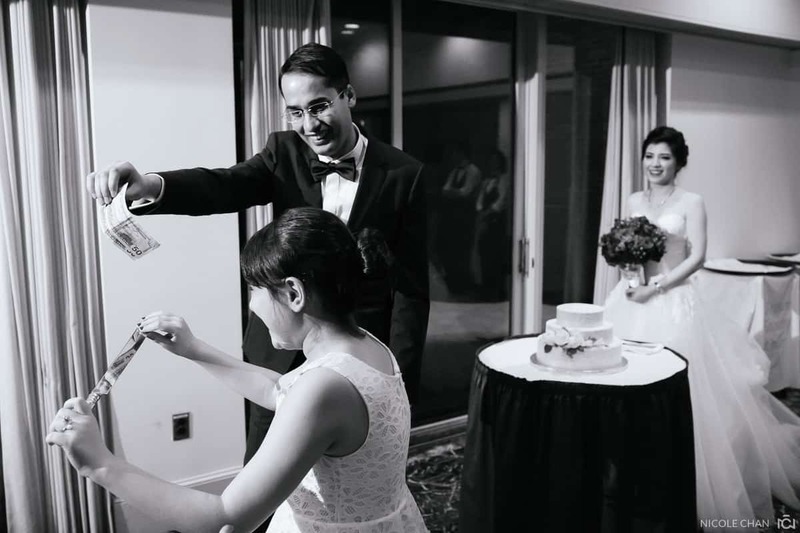 Two sugar cones were softly ground together above their heads throughout the ceremony to “shower them in sweetness”. 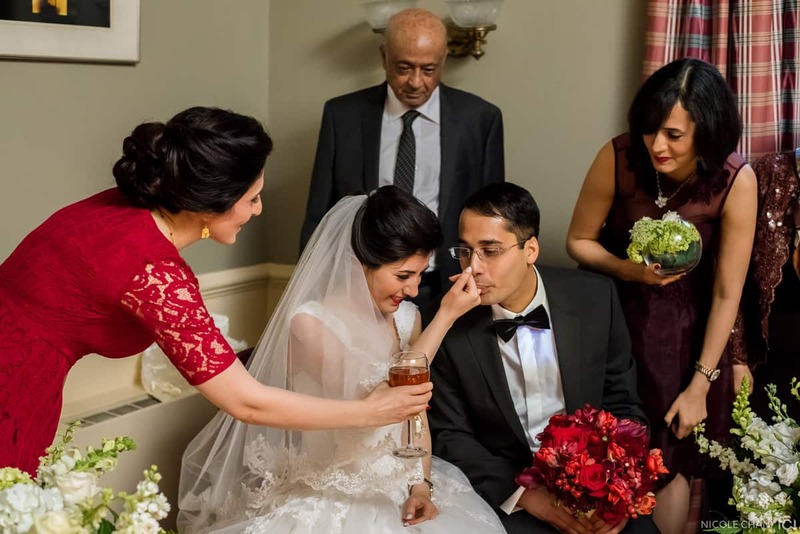 After the two exchanged rings, the bride and groom dipped their pinky finger into honey and fed each other. 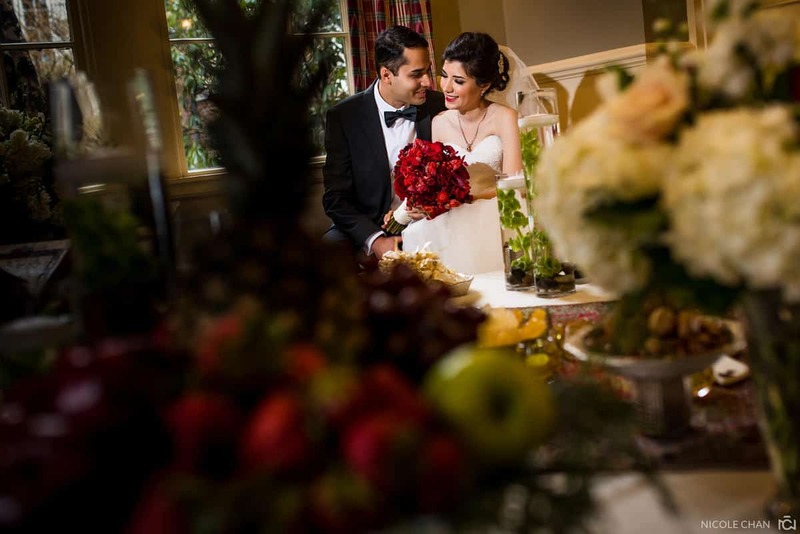 Their families then showered them with hugs, kisses and gifts to celebrate their new marriage.